Lisa M. Pigeon is a Partner in the Albertson office. She joined ADM in 2003, was hired as an Associate upon admission to the New York and Massachusetts bars in 2004, and became a Partner in 2013. She has spent her entire career with the firm defending individuals and corporations. 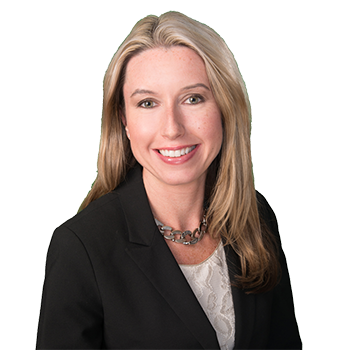 Ms. Pigeon focuses her practice on construction site accidents, New York Labor Law liability, premises liability, products liability, property damage, automobile liability, insurance coverage issues, and breach of contract claims. Ms. Pigeon has represented both commercial and residential property owners, general contractors and construction managers, and subcontractors of varying trades. Ms. Pigeon is a member of the New York Trial Lawyers Association, Nassau County Bar Association, Claims & Litigation Management Alliance (CLM) - Education Committee, and National Association of Insurance Women (NAIW). She volunteers with Dorot. In addition, she is a coach for Franklin Square Little League and Franklin Square Raiders Soccer Club. Ms. Pigeon also works with YAI/Brighter Futures Society. She received the YAI Advocacy Award in 2009, spoke on behalf of the firm at the 2013 YAI Golf Outing, was honored at the YAI Business Advisory Council's 2014 Breakfast Meeting as a valued volunteer, and was recognized as a dedicated advocate at the May 2016 YAI Arts Show.